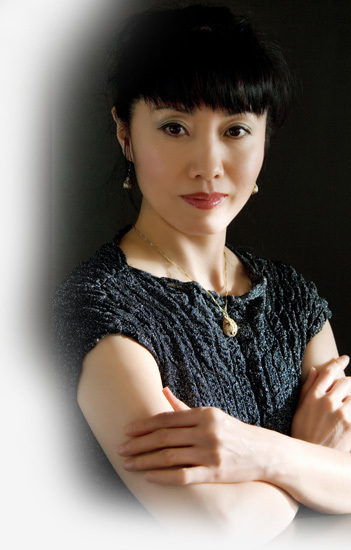 Shu-Cheen Yu: Experience The Divine Voice Of One Of Australia’s Most Awarded Opera Singers. Born in China, Shu-Cheen Yu began her career as a child star in Chinese traditional opera. Her parents were members of the Shanxi province local opera company and they sowed the seeds that have made her such a versatile and engaging performer as an adult. She commented recently, "Whenever they needed a child, rabbit, dog or cat; that was me!" Before migrating to Australia in 1987, Shu-Cheen was one of China’s best folk singers and a principal artist with the Shan-Xi province Beijing Opera Company and China’s prestigious National Oriental Song and Dance Company where she sang for senior government ministers, foreign dignitaries and other distinguished and illustrious figures. She made regular broadcasts on the powerful CCTV (China Central TV Station), Beijing Television Station and Radio Beijing. She released five successful albums in China each of which was wildly successful. Her career in Australia has been equally impressive. She has accumulated no less than 12 major national and international singing awards including New York Metropolitan Opera, Australia Regional Awards, London Royal Opera House Covent Garden Scholarship and the Placido Domingo International Opera Awards in Vienna. She has released three best-selling CDs produced by ABC Classics and is widely admired for her astonishingly pure and beautiful voice, her extensive and versatile repertoire and for her infectious enthusiasm and charisma that infuses every performance, be it a gala concert, cultural festival or intimate wedding. She has been a regular guest performer with Opera Australia, the nation’s most prestigious opera company as well as principal soloist and guest artist at many diverse and renowned festivals, concerts and corporate events. For a full listing of Shu-Cheen’s performing history, please click here: Full Biography.